GE Intelligent Platforms introduces a new line of rugged miniature image stabilisers designed for harsh, cramped environments with reduced size and weight as well as lower power consumption. Announced at the AUVSI in Washington DC, the MIP3ES miniature image stabilisers complement the recently-announced ADEPT3000 miniature video trackers and are also designed for demanding military/aerospace applications in which size, weight and power (SWaP) are highly constrained. Measuring a very compact 34mm x 24mm in size, approximately the size of a microprocessor, MIP3ES miniature image stabilisers are lightweight at around six grams and consume minimal power (about 1.5 watts), making them ideal for deployment in the harsh conditions of small unmanned aerial vehicles, video gimbals and man-portable devices. 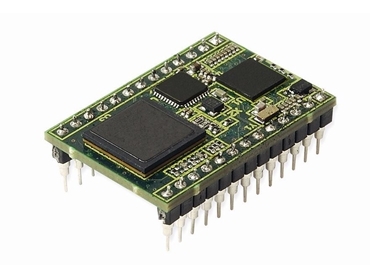 The MIP3ES miniature image stabilisers offer high performance stabilisation of real-time video images with any standard definition analogue video signal despite the small size. By incorporating on-board serial links, the MIP3ES can interface to most platforms and is designed for easy configuration and device control with intuitive web-based software. According to Chris Jobling, Product Manager, GE Intelligent Platforms, the MIP3ES miniature image stabilisers extend the broadening range of image processing and video processing solutions offered by GE. Offering advantages such as excellent price/performance, rugged construction and ease of implementation, these processing systems allow users to implement them in a wide range of environments, providing advanced system capabilities with faster deployment.